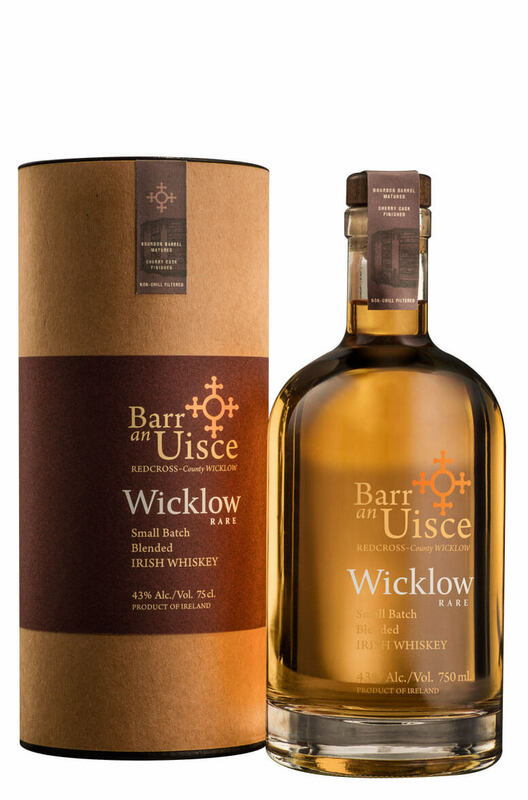 The Wicklow Rare blend is an excellent mix of 80% grain whiskey with 20% 10 year old malt whiskey. Six months of 'finishing' in Oloroso sherry barrels has added some welcome depth and richness. Taste The palate has good weight and is very smooth. Subtle sherry notes add a good deal of depth with the soft grain whiskey taking centre stage. Flavours of candied citrus peel, vanilla, crème brulee, crystalised ginger and some spicy oak. Nose Delicate and harmonious aromas of vanilla, sponge cake, orange peel, apples, pears and wood shavings. Types of Barrel used for Aging Initially matured in ex-Bourbon barrels before six months 'finishing' in Oloroso sherry barrels.